In a perfect world, we would get to see our favorite fighters fight on forever and forever. Boxing is such an adrenaline rush, not just for the fighters, but also the fans watching, that we often become consumed with the action taking place inside of the ring as well as the men producing the drama. However, all good things must come to an end, and in 2017 we saw many respect champions and former champions walk away from the sport. The lineup of those to retire in 2017 thus far includes Wladimir Klitschko, Floyd Mayweather, Andre Ward, Robert Guerrero, Juan Manuel Marquez, Tim Bradley, Takashi Uchiyami, and Takashi Miura, amongst others. But, as well all know, nothing is for certain. Just look at former two-division world champion Orlando Salido, who was beaten and stopped by tough contender Miguel Roman last week. Salido announced his retirement after the match, only to dismiss such a though a few days later, as he now insists he will be competing again. Curious who just might be making a return to the sport in 2018? Read below. It was definitely a bit surprising to see Andre Ward announce his retirement a few months back. Ward, just 33 years old, was coming off of two of his most high-profile victories to date, a pair of wins over light heavyweight champion Sergey Kovalev, who he won a decision over in November of 2016 and stopped via 8th round TKO this past June. Ward took to social media to announce the end of a legendary, hall-of-fame career, but recently noted that he does miss the sport. With so much action still taking place at 175 pounds, don’t be too surprised if ‘S.O.G.’ comes back. The last time we saw Floyd Mayweather inside of a boxing ring competing as a professional was this past Aug. 26, as he battered and stopped UFC superstar Conor McGregor for a 10th round TKO victory on SHOWTIME pay per view. 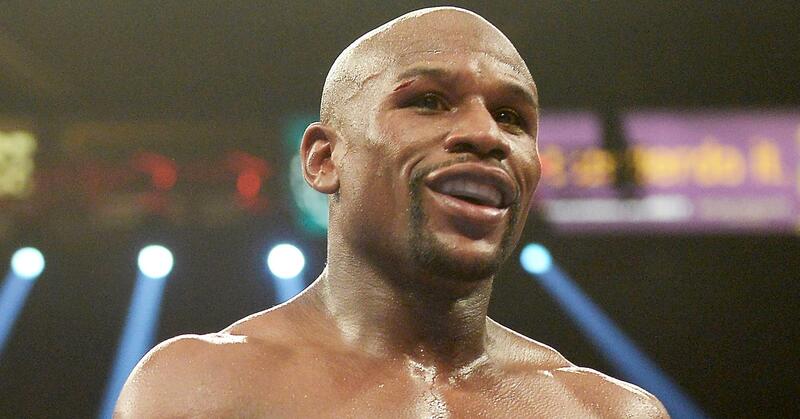 Mayweather, who went 50-0 with the victory, has done just about everything you could imagine in the sport, from winning titles in multiple divisions, scoring triumphs over the biggest names in the sport, and collecting hundreds of millions along the way? So, why would he consider coming back? Mayweather loves money and he recently revealed that the UFC is offering him a multi-fight deal that could potentially earn him over a billion dollars. Let’s see how this plays out. Following his third match with Manny Pacquiao in April of last year, we have yet to have seen Tim Bradley back inside of a boxing ring on prime time TV. Bradley endeared fans over the years by always pitting himself against the best. Fights against the likes of Pacquiao, Juan Manuel Marquez, Ruslan Provodnikov, Jessie Vargas, Lamont Peterson, Devon Alexander, Brandon Rios, and others, all were memorable in some way. Bradley has been active in his community as well as commentating, but everyone knows that Tim loves the rush that comes with fighting on the championship stage, so who knows what’s next. Klitschko is 41 years of age, yes, but he really has nothing to be ashamed of following a courageous, back-and-forth battle with current IBF/WBA heavyweight champion Anthony Joshua this past April. In that fight, Klitschko and Joshua traded knockdowns and delivered much excitement, before the proud Ukrainian was stopped in the 11th round. Klitschko announced his retirement following that defeat, but given the fact that he was so competitive and is still a threat, it’s not unlikely to think he might return for another go-round.